So, it is Spring. Boing, Boing, Boing...! Time to bounce into that garden of yours (or come and help us in ours) because its a busy transition time, from all those brassicas and leafy greens of Winter to the exciting crops of Summer. We are sure there is more, but this is definitely a good start. If you have space for things that spread out and cover the ground, consider pumpkins, cucumbers, zucchini and watermelon. Sunflowers bring some beautiful colour and height, and attract bees, which we need to pollinate the flowers of above mentioned ground-covering crops. You will notice that there will be male flowers and female flowers. A little pollen from the male flower needs to meet the female flower, and wha-la, a pumpkin will start to grow! These crops are exciting, because they can be really productive. Before you know it you'll have cucumbers coming out of your ears! 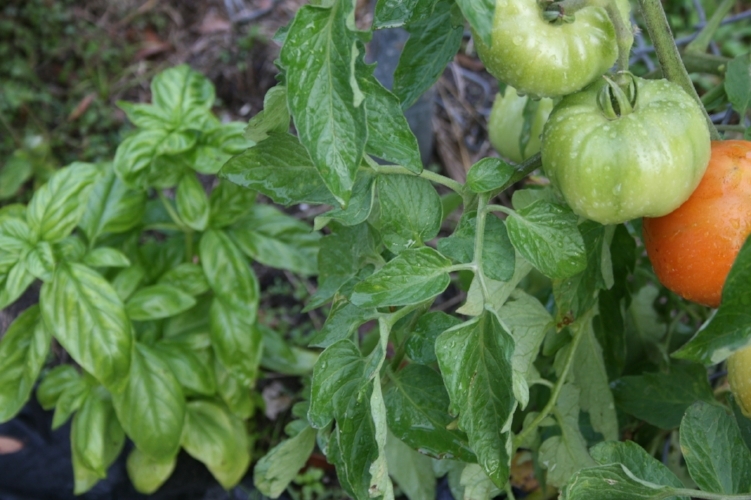 Tomato and Basil are lovely companion plants, both in the soil and on your plate, so be sure to plant them together! To learn more about how to best prepare the soil and to get your hands dirty with a practice run, come along to a working bee at The Lost Plot. We have some very knowledgeable gardeners down there so you'll be sure to learn something that you can apply to your own patch! Working Bees are now 8am to 11am (daylight savings hours), Thursdays and Saturdays, and everyone is welcome.